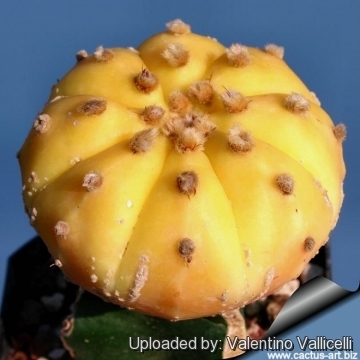 Description: Astrophytum asterias var. nudum (a.k.a. cv. 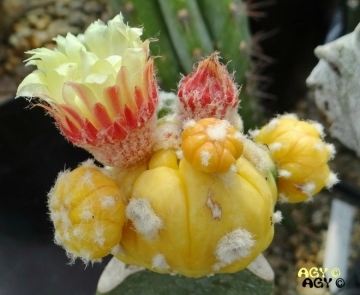 Ruri Kabuto) has a very characteristic glabrous stem lacking the white tufts of loose hairy scales typical of the common Astrophytum asterias. The smooth green epidermis show up the felty areoles. 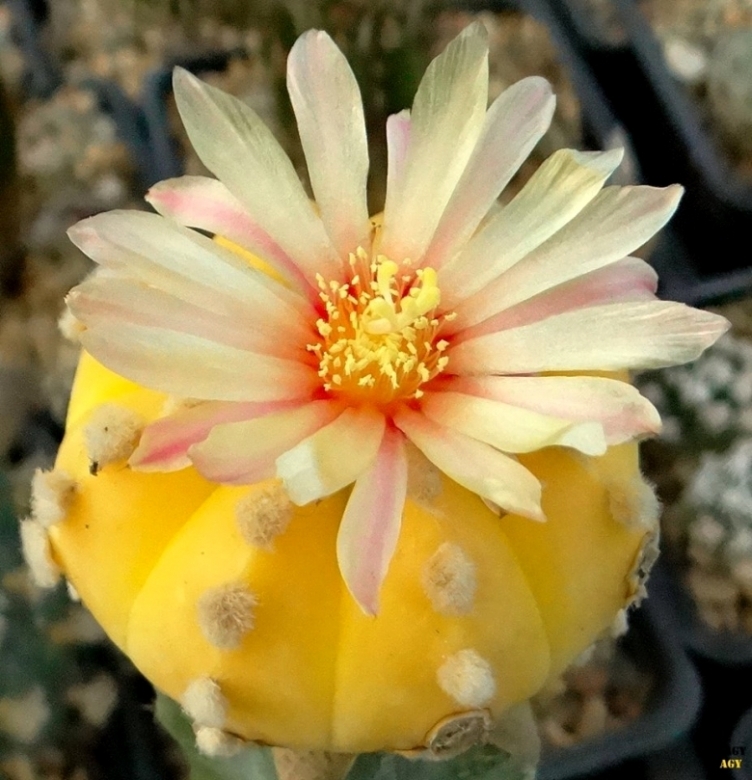 The schizochromic form (Astrophytum asterias var. 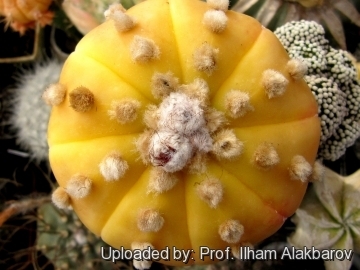 nudum f. albinum) has pale yellow stems due to the absence (or reduced production) of chlorophyll pigments: every other pigment is present at normal levels, the dominant green colouration is lost, but will still more than likely have normal other pigments that give the yellow overall appearance of the stem. This form with yellow stems is very attractive and highly prized. This schizochromic form is almost always seen grafted on stronger columnar species, and cannot can be grown on its own roots. However some clones have enough chlorophyll in their tissues and can be grown on they own roots too, but very slow growing. 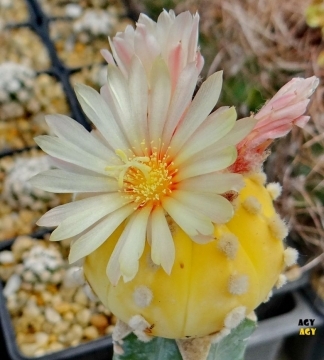 Stem: Cream-yellow to bright golden yellow, much depressed, disc-shaped to low dome-shaped (Only in cultivation plants may have a spherical till columnar shape, mature plants 2-7 cm tall, 5-16 cm broad, smooth completely flake free (without the minuscule tufts of bright white hairy scales).